Port Fairy Folk Festival, Vic (Matt Roberts Photography). We Australians love any excuse for a party, and our coastal towns are no exception. You name it, there’s a seaside festival for it: from food to folk music; from celebrating our history to celebrating our multiculturalism. Or how about a spot of tuna-tossing, to keep things interesting? You’ll often find packages and deals geared towards festival-goers, so there’s some good value to be had. Pick wisely and you’ll have ready-made entertainment to keep the kids happy all holiday long. Plus, when you get tired of what’s on offer, you’re at the beach. Win-win. The ‘Festival of the Pearl’ celebrates Broome’s multicultural pearling history in a week of festivities, with everything from dragon boat racing to a float parade and fireworks. 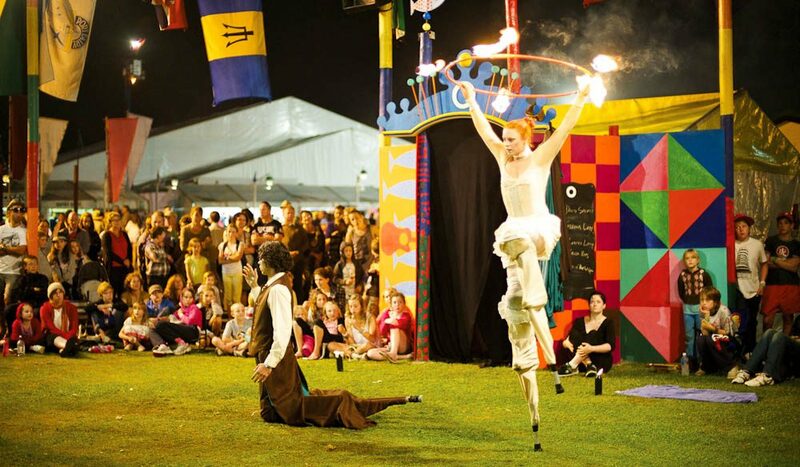 This annual four-day music festival held in charming Port Fairy packs in over 120 local and international acts playing everything from roots and rhythm, to cabaret and Celtic – plus a kids’ program to keep the littlies entertained, too. Entering its 20th year in 2014, this popular annual festival draws tens of thousands of revellers keen to experience the best of the tropics, with a jam-packed schedule of family fun on offer: live entertainment, food events, adventure activities and more. With a street parade, fireworks, gala ball, live entertainment, long table feast and the highlight – a tuna-tossing competition – this action-packed festival is sure to have enough activities for everyone in the family to enjoy.